For the Oregon National Guard unit, see 41st Brigade Combat Team. The 41st Infantry Division was composed of National Guard units from Idaho, Montana, Oregon, North Dakota and Washington that saw active service in World War I and World War II. It was one of the first to engage in offensive ground combat operations during the last months of 1942. In 1965 it was reorganized as the 41st Infantry Brigade. The brigade has seen combat in the Iraq War in 2003. The 41st was first activated for U.S. Army service on 1 April 1917, just five days before the American entry into World War I, primarily from Guard units of the northwestern United States and trained at Camp Greene, North Carolina. It consisted of the 81st Infantry Brigade (161st and 162nd Infantry Regiments) and the 82nd Infantry Brigade (163rd and 164th Infantry Regiments). On 26 November 1917 the 41st Division embarked for Europe as part of the American Expeditionary Force (AEF), commanded by General John J. Pershing. Men of the 41st were aboard the SS Tuscania when it was torpedoed by a German U-boat and sunk off the coast of Northern Ireland. In France, however, the 41st Division received a major disappointment. It was designated a replacement division and did not go to combat as a unit. The majority of its infantry personnel went to the 1st, 2nd, 32nd and 42nd Infantry Divisions where they served throughout the war. The 147th Artillery Regiment was attached to the 32nd Division and saw action at the Third Battle of the Aisne, the Meuse-Argonne Offensive and other areas. The 146th and 148th of the 66th Field Artillery Brigade were attached as corps artillery units and participated in the battles of Château-Thierry, Aisne-Marne, St Mihiel and Meuse-Argonne. In 1921, the 41st Division was allocated to Pacific Northwest states. Its units returned to National Guard status but retained divisional organization. Each state was instructed to form divisional units. Recently arrived troops of the 41st Infantry Division are reviewed by Australian Army Minister Frank Forde on 14 April 1942, accompanied by Major General Horace H. Fuller. Note the World War I style M1917A1 Steel helmets. In July the division moved by rail to Rockhampton, Queensland. :27 The division had arrived in Australia with a reputation as "the top ranking National Guard division and one of the three top divisions in the whole Army",:6 a reason for its early deployment. Allied commanders at Sanananda. 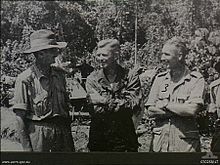 Major General George Alan Vasey, commander of the 7th Australian Division (left), chatting to Colonel J. A. Doe, 163rd Infantry (centre). 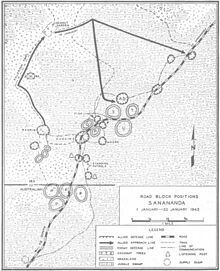 Sanananda road block positions 1–22 January 1943. New Guinea. Radio Operator, Cpl. 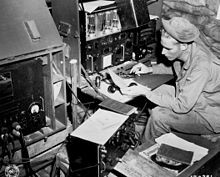 John Robbins of Louisville, Nebraska, 41st Signal, 41st Infantry Division, operating his SCR 188 in a sandbagged hut at Station NYU, Dobodura Airfield, New Guinea on 9 May 1943. In just three weeks of fighting in January 1943, the 163rd Infantry lost 85 killed, 16 other deaths, 238 wounded and 584 sick, a total of 923 casualties. The occupation of Wakde was to be a shore-to-shore operation, it was too small an island to permit a major landing force. Following a naval bombardment on 17 May, the 163rd Infantry landed four companies (A, B, C and F), seized the beachhead and began the push inland assisted by four M4 Sherman medium tanks. The companies executed a successful flanking maneuver which left the important airfield in the middle of the island in Allied control after only two days of fighting. The campaign was unique for its brevity and conclusiveness, and marked the first time that terrain and conditions permitted the full use of tanks. The 41st Division's bloodiest engagement was on the island of Biak, off New Guinea's coast. It marked the first time the division had fought as a whole, and resulted in the defeat of over ten thousand well-entrenched and well-led Japanese forces. The campaign extended from May through August 1944, and the 41st earned a new nickname, "The Jungleers." The first tank battle of the Pacific Theater occurred on Biak, when Japanese Type 95 Ha-Go tanks attempted to attack the beachhead. They were destroyed by US Army M4 Sherman tanks. Casualties on Biak were 435 Americans KIA and 2,360 WIA. The Japanese lost an estimated 6,125 KIA, with 460 POWs, and 360 Formosan POWs. 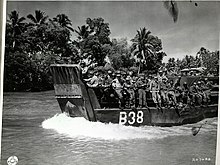 After finally securing the island, American troops developed southern Biak into a large airbase and staging area. Biak contained three aerodromes; Mokmer, Borokoe and Sorido. 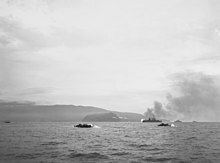 The capture of Mokmer Drome was particularly challenging due to the proximity of cliffs of coral that provided very strategic cover for Japanese heavy guns. Because the 41st failed to repeat the swift progress made in prior landings, General Fuller was relieved as commander of Hurricane Task Force. Continuous heavy fighting, intense heat and scarcity of water had tired the task force troops to a critical degree. General Eichelberger and General Doe were to prove able successors, but it took until 20 August to officially terminate a campaign that had begun with beach landings on 27 May 1944. 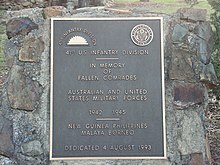 The 186th Regimental Combat Team stormed ashore on Palawan on 28 February 1945 in the first action in the Philippine Islands. The local airfields were found to be unserviceable due to the pre-landing bombardments, and the town of Puerto Princesa was mostly destroyed. However, in three years of campaigning, this was the first semblance of civilization. American casualties were 12 killed and 56 wounded. Filipino casualties were 55 killed and 120 wounded. Japanese losses were 890 dead and 20 POWs. 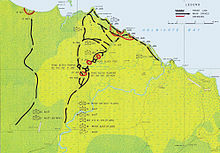 The operation terminated on 20 June 1945. Zamboanga, and the Sulu Archipelago. The massive assault on the Philippine island of Mindanao began with naval and air bombardments along the beach defenses east of Zamboanga City, forcing the enemy to evacuate these excellent defensive positions. The 162nd and 163rd Infantry Regiments made their landings, and the enemy fled into the hills in disorder. A series of counterattacks faced the Jungleers, but they prevailed despite well-established hill positions, which were overrun by 24 March. By the end of March, the 186th Infantry had rejoined the Division and relieved elements of the 163rd, who proceeded to the island of Jolo, followed by more island-hopping to Tawi-Tawi. The conquest of the entire Sulu chain of islands left just mopping up to be done. The Southern Philippines had been freed from Japanese oppression. 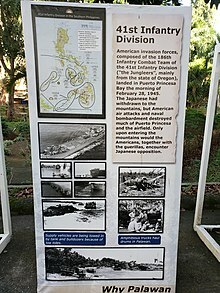 After the fall of the Philippines, the division began training for the attack on Japan itself, but surrender came first. The division did move to Japan where it occupied the island of Honshū for a few months. 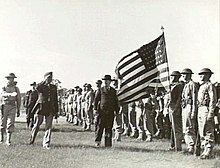 The 41st Infantry Division was inactivated at Kure-Hiro, Japan on 31 December 1945. The 41st Infantry Division was reformed in Oregon in 1946. In 1965 it was reorganized as the 41st Infantry Brigade. The 41st Infantry Division was inactivated in 1968. The 41st Infantry Division holds annual reunions for its World War II veterans. In 2008 the reunion was held in Washington, D.C. The veterans had the opportunity to visit Arlington National Cemetery and hold a special wreath laying ceremony at the Tomb of the Unknown Soldier. Many of the veterans also visited the World War II memorial for the first time. Several were accompanied by family (including spouses, children, grandchildren, and in a couple of cases, great grandchildren). The Jungeleer is the publication of the 41st Infantry and is available to all former members of this division. Major General Ralph S. Phelps April 1963-September 1968 (last commanding Major General). General Phelps was also the commanding officer of the first Army Ski Patrol established in 1941 at Camp Murray which later became the 10th Mountain Division. He joined the 41st in 1938 as a private. ^ a b c d e f g h i j k l m n o p q r s t u v w x y McCartney, Wiliam F. (1948). The Jungleers: A History of the 41st Infantry Division. Washington, D.C.: Infantry Journal Press. ISBN 1-4325-8817-6. ^ Dunn, Peter. "CAMP CAVES NEAR ROCKHAMPTON, QLD". www.ozatwar.com. Retrieved 20 May 2013. ^ Shortal, John Francis (1987). Forged by Fire: Robert L. Eichelberger and the Pacific War. Columbia, South Carolina: University of South Carolina Press. ISBN 0-87249-521-3. OCLC 16356063. ^ About 3,800 strong, the unit consisted of the 163rd Infantry; Company E, 116th Engineer Battalion; Company E 116th Medical Battalion; the 7th, 11th and 12th Portable Surgical Hospitals; and detachments of the 41st Signal Company, 41st Ordnance Company, 641st Tank Destroyer Battalion and 116th Quartermaster Company. ^ a b c d e f g h i Milner, Samuel (1972). Victory in Papua. Washington, D.C.: United States Army Center of Military History. ^ a b McCarthy, Dudley (1959). "South-West Pacific Area – First Year". Australia in the War of 1939–45. ^ Horner, David (1992). General Vasey's War. Melbourne: Melbourne University Press. ISBN 0-522-84462-6. OCLC 243778546. ^ Papuan Campaign, p. 82. The Army Almanac: A Book of Facts Concerning the Army of the United States U.S. Government Printing Office, 1950. Reproduced at the United States Army Center of Military History. Fine, Lenore; Remington, Jesse A. (1972). "The Corps of Engineers: Construction in the United States". Washington, D.C.: United States Army Center of Military History. Horner, David (1992). General Vasey's War. Melbourne: Melbourne University Press. ISBN 0-522-84462-6. OCLC 243778546. McCarthy, Dudley (1959). "South-West Pacific Area – First Year". Australia in the War of 1939–45. McCartney, Wiliam F. (1948). The Jungleers: A History of the 41st Infantry Division. Washington, D.C.: Infantry Journal Press. ISBN 1-4325-8817-6. Milner, Samuel (1972). Victory in Papua. Washington, D.C.: United States Army Center of Military History. Shortal, John Francis (1987). Forged by Fire: Robert L. Eichelberger and the Pacific War. Columbia, South Carolina: University of South Carolina Press. ISBN 0-87249-521-3. OCLC 16356063. Stanton, Shelby L. (1984). Order of Battle U.S. Army, World War II. Novato, California: Presidio Press. ISBN 0-89141-195-X. OCLC 10727063.